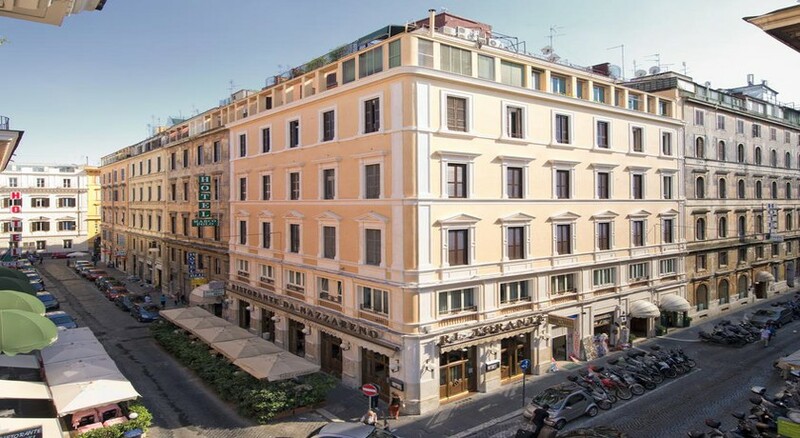 Marco Polo Roma in Rome has 22 rooms, spread over 2 floors. To make your stay more comfortable an elevator, a reception, air conditioning and a lobby are available. 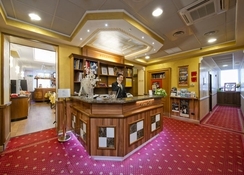 The staff in this 2 storey hotel speaks Spanish, Italian, German and English. 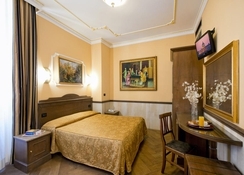 The hotel is within easy reach of taxi stands, city centre, medical services, bars and restaurants, shops, disco, train station, bus stops, supermarkets and tourist information. 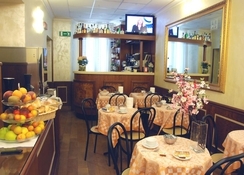 Accessible from the hotel: airport FCO (40 km) and airport CIA (35 km). For your entertainment the hotel features a TV lounge. Vehicles may be parked in the garage. Amenities: For convenience the following services are offered: laundry service, ironing service, concierge, wake-up service, room service, a safe, babysitting and medical care. Internet access is provided at wifi-hotspots. Reception hours: 24h Service. Meals: The breakfast type is Buffet. A snack bar is also available throughout the day. Additional Information: Payment facilities include Visa Card, American Express, Euro/Master Card and Diners Club. Additional fees may apply for certain facilities, amenities or activities.